Michele Karlsberg: What was the spark that ignited your novel? 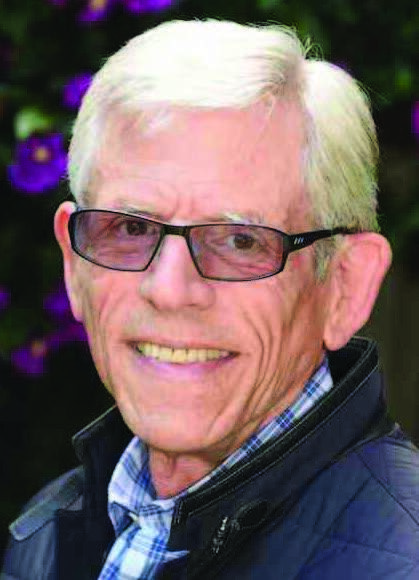 Steven Coulter: I was bored with endless pundits and academics prognosticating about a possible dark future for America as social, political, environmental and economic issues collide. I wanted to make it real, on my terms, through fiction. This kind story had to be physical, visceral, uncomfortable, exciting, sexual, emotional, disturbing and thought provoking, a tale that could be read from different levels, set forty years after the collapse of the middle class. And it had to be in my town, San Francisco. 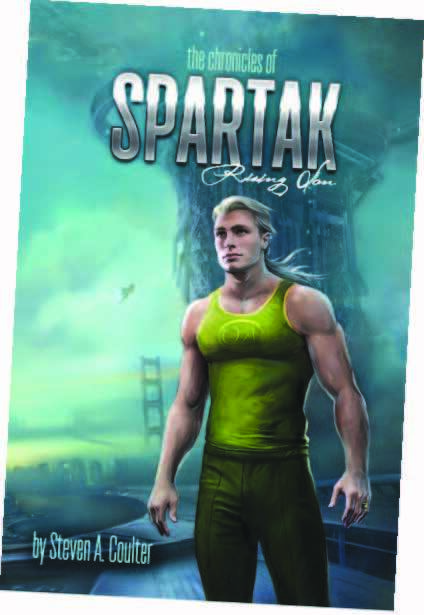 In the year 2115, sixteen-year-old Spartak Jones tells his own story about the world we made for him, adding my own ideas about where science and fiction meld and trends reshape America. Spartak’s flesh and blood adventure has a serious political underpinning, set near enough in the future that we have a sense of how it might be based on our current experiences and building recognition about how what we do now impacts the lives of real people tomorrow. I created a protagonist with pluck and values, a fluid sense of sexuality, loyal to family and friends. He is brutally bullied in an elite high school he attends on scholarship and is bisexual in an age when that is no longer an issue. He survives through cunning, loyalty, raw talent and ruthlessness when there are no other options, becoming a warrior and an icon for a revolution, an America that used to be and might be again. If he can survive. Steven A. Coulter is a San Francisco based novelist using fast-paced speculative fiction to explore a future shaped by today’s reality. 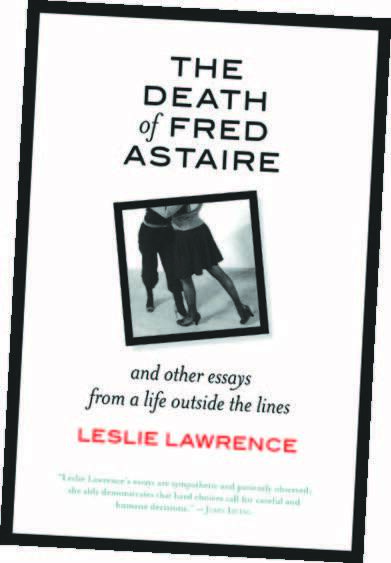 Leslie Lawrence: “Sparks” in the case of The Death of Fred Astaire—and Other Essays from a Life Outside the Lines. Each essay has its story, but almost all began with a surprise. In the title essay the surprise was at finding myself in a relationship with another woman (this in the early eighties); and surprise that I was now contemplating getting pregnant (somehow!) and raising the child with that woman. In “Becoming Jennie” the surprise was this: “One good bra,” the first item on a packing list I found just after my grandmother died. (But weren’t all her bras “good”? And didn’t she call them “brassieres”? Who was this woman I’d now never get to know?) In “My June Wedding” the surprise was how much I loved that tiny, makeshift affair where the only man present was my 14-year-old son wearing a shirt in serious need of ironing! With surprise comes a humbling, ticklish amusement. And then comes the itch of curiosity. How did it come to this? Why was I so clueless? And so the essays accumulated. But they don’t have anything in common! I protested when someone suggested I make them into a book. But they’re all about the same things! I thought after I re-read them. Of course, both and neither are true. Theme and variation—that’s what makes for interest and integrity in music, dance and poetry. I trust you’ll find all of these in The Death of Fred Astaire. Leslie Lawrence—a graduate of Oberlin College, Brown University and Goddard’s M.F.A. program—is a recipient of a National Endowment for the Arts award. 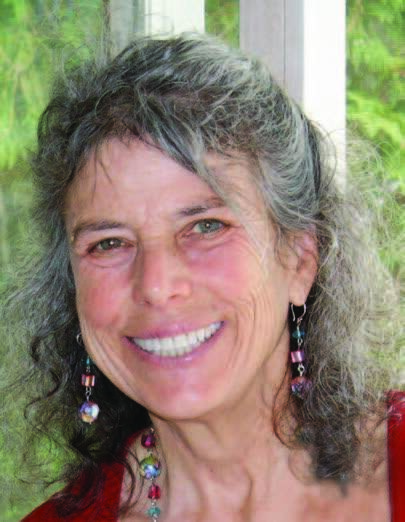 Although she’s widely published in journals and anthologies, “The Death of Fred Astaire–and Other Essays from a Life Outside the Lines” is her first book. 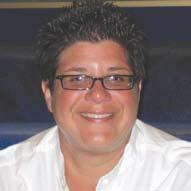 Michele Karlsberg Marketing and Management specializes in publicity for the LGBT community. This year, Karlsberg celebrates twenty-seven years of successful book campaigns.